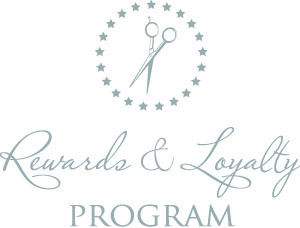 As a thank you for your continued loyalty, La Bella Vita is introducing our Rewards & Loyalty Program. Clients will accumulate points for retail and Service transactions as well as experiencing a new service and referring us a new guest. It's that simple! As a La Bella Vita client you are automatically enrolled ! No sign up or punch cards needed. 1500 points for *referring a new client to La Bella Vita Salon and Day Spa. 1 point for every dollar spent on retail purchases. Points may be redeemed for services only. Please let the front desk know you would like to use your points upon checkout. Is there anything I can't use my points for? Points are not transferable and can only be redeemed by the person who earned them. Points can NOT be redeemed for cash or gift card / certificates. Points may not be used in conjunction with any other salon offer. Any points earned during the calendar year will expire at the end of each calendar year. It is the client's responsibility to claim unredeemed points prior to expiration. *What is a referral ? A qualifying referral must be a new client to the salon as well as the stylist, over 18 and must live in the area . To receive your 1500 reward points they must provide the front desk with the name of the client that referred them. Need a referral card ? Ask your stylist on your next visit.